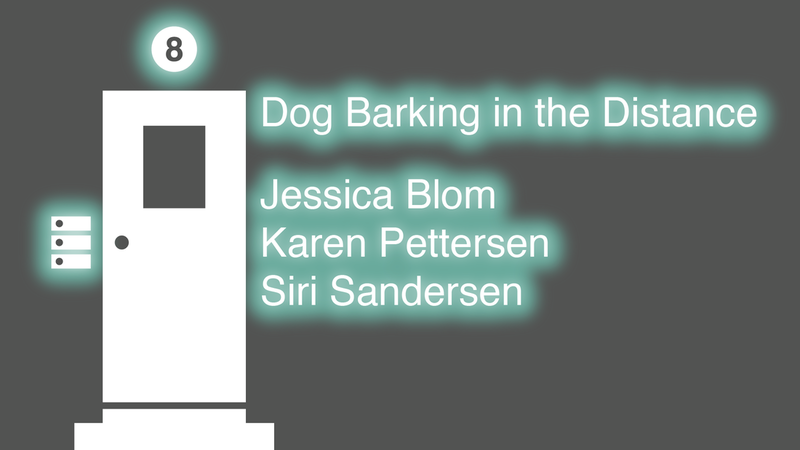 Karen Pettersen, Jessica Blom and Siri Sandersen are artists often working with site specific and temporal installations. For the show at Telemark Art Center they are presenting new works that have been made directly in the exhibition space. The artists based in Kristiansand, Stockholm and Porsgrunn have studied at Bergen Academy of Art and Design and Oslo National Academy of the Arts. For Dog barking in the distance the works are created through site specific investigations, personal experiences, reflections and abstractions concerning time, including this very present. Dog barking in the distance is an ongoing dialogue at a specific location. The specific location comes with prerequisites, and directs attention to the temporary and the process.